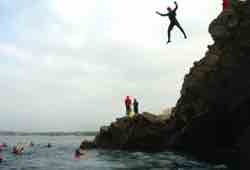 If you like it wet and wild but don’t want to clean the bedsheets then coasteering will be your kind of water-sport. Find your feet, make sure you’ve got your positioning just right and dive in as deep as you can go, you’re guaranteed to finish this wet weekend with a moist helmet. 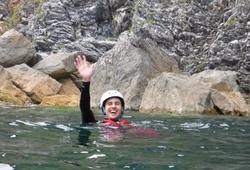 Coasteering is your chance to swim through deep ocean caves and whirlpools, cling to jagged cliff sides for dear life and plunge into deep plunge pools from 60 foot ledges. 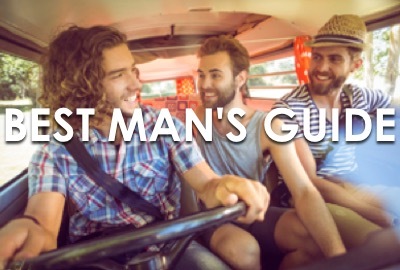 If you’re a proper adrenaline junkie coasteering will keep pushing you until your pants are warm. There’s no peer pressure from your fully trained instructors so if you prefer your tea milky and your wallpaper magnolia then don’t stress, you can watch, just like you watch Countryfile in your grandad slippers, we’re not judging, much. A full arsenal of safety equipment is provided from buoyancy aids to helmets so unless you act like a complete tool you’ll be perfectly safe. 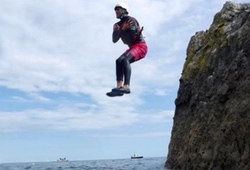 It might sound like a beige documentary on National Geographic for geeks who get a cold in June but coasteering is high action, high adrenaline, heart stopping madness. 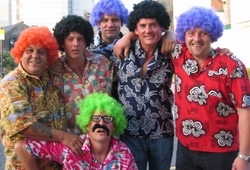 So book a weekend of wet, wild, wicked fun and pick coasteering for your stag do with StagWeekends.com.